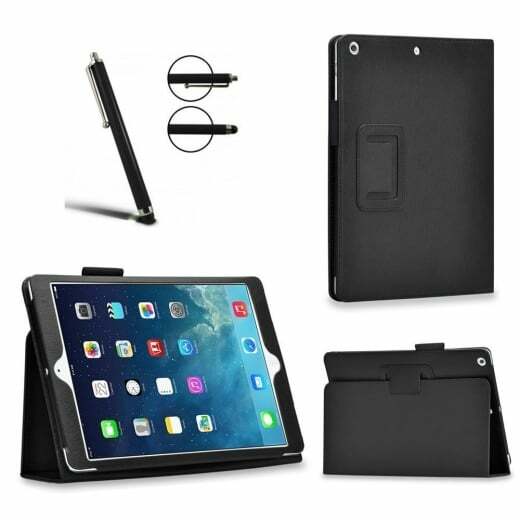 This slim fit tablet case cover perfectly fits your tablet. Specifically designed cut-outs allow you to easily access all ports and buttons of the device. It is made by premium PU leather, lightweight and durable. Soft micro suede provides a nice protection for the tablet's screen. The front cover can be easily folded back for a comfortable viewing position, which is perfect for video-chatting, movie-watching or gaming. Plus, the slim design does not add excess bulk to your tablet. The case includes a screen protector, cloth, application card and a stylish stylus pen. Copyright © 2019 RM Electronics Limited. All Rights Reserved.